This guide for managing stress gives us powerful tools for navigating anxiety and reactivity. With great clarity and warmth, Bryan Robinson opens us to the possibility of living with an increasing sense of balance, happiness, and ease. This book is an accomplishment! It will be deeply helpful to many. Using easy-to-understand language, this practical book can help virtually anyone to become less stressed. Chock full of useful examples and exercises, it provides insight into the many causes of stress in modern life and offers wide-ranging solutions based on the latest research and clinical practices. Rather than just provide a few techniques, Dr. Robinson helps us deal more effectively with all aspects of our lives, showing us how to be happier, healthier, and more content, regardless of our circumstances. Bryan Robinson’s Guide offers many helpful and creative suggestions for living more sanely—and even thriving—in the midst of the ever-escalating pressures of 21st Century life. He is truly a Doctor of Calm! A rich and thorough guide—the insights on workaholism, addiction, and stress offer especially valuable insights for getting our most critical and insidious risk factors under control. 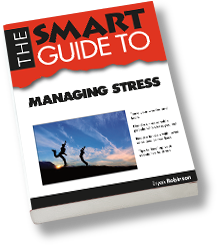 The Smart Guide to Managing Stress is sure to become another best-seller for Bryan Robinson. Readers will love the special features, and Robinson is always the master who can create a step-by-step approach to life-changing actions. The Smart Guide to Managing Stress is sure to become the go-to-source for busy individuals seeking a healthier, more productive and contented life. 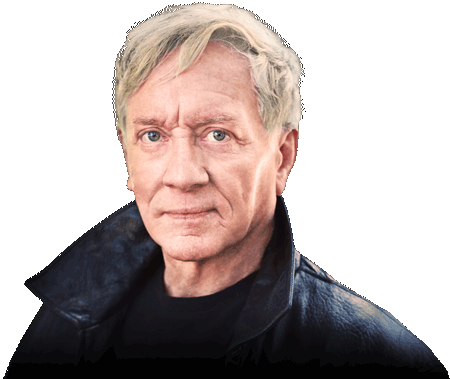 Dr. Robinson provides an eye-opening and thoughtful 360 degree view on how stress impacts every facet of one’s life. So, if you’re looking to recharge your batteries and live a life free from stress, pick up your copy today. This simple yet profound guide takes the stress out of managing stress, offering clear information and concrete advice on how to have a calmer, more peaceful life. The Smart Guide to Managing Stress is an outstanding and exhaustive “must-read” resource for anyone trying to deal more effectively with stress. 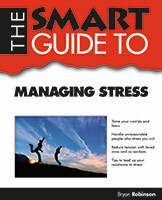 It provides thorough review of the research and gives excellent and easy-to-follow advice on managing stress.